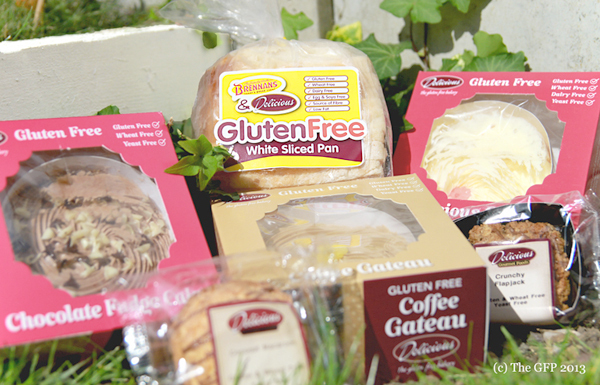 Delicious The Gluten Free Bakery http://www.delicious.ie recently tweeted news about their new gluten free bread. I nearly died of excitement when I saw that they had teamed up with Brennans to create their new product. Brennans Bread was my pan of choice back in my gluten days. So when Delicious tweeted me saying that they'd be happy to send me a sample of their new bread, I absolutely accepted their offer. However, a few days later when I answered a knock on the door and was handed a large box to sign for, I was wondering who was sending me this package and what was in it. Well, didn't the fine people at Delicious not only send me a sample of their new bread, but 3 of their cakes, a flapjack and a macaroon. So back to the bread. It's brightly packaged and clearly marked Gluten Free and noticeably lists allergies on the back label. The most noticeable thing about this bread, is the size. It really is pan sized. Not like the usual smaller sizes of gluten free bread that are commercially available on the market. It is like a 'normal' sized piece of bread. I just couldn't get over that. In a good way. There is a tip on the back of the packaging that recommends that you should keep it in the fridge for a longer shelf life. It freezes well too. The taste is good. When eaten untoasted it does actually taste like bread. The texture initially is a bit springy, but not too off-putting. It tears differently from 'normal' bread, so is the nature of gluten free. It toasts really well and I made a tasty croque monsieur with it. It holds well when frying it in the pan or toasting it with cheese on top, in the oven. Again, the wonderful thing about this bread is the size. It feels so 'normal'. I would be happy to buy this bread again. It definitely satisfies. As far as I'm aware it is only available in the Cork area at the moment. I do hope this hits the shelves nationwide soon. If its price point is set affordably against other gluten free breads already out there, I think it will sell really well. It's worth buying. I'm not forgetting about all the amazing cakes and extras that came with the bread. I just want to focus on their bread as it really is the new kid on the block. 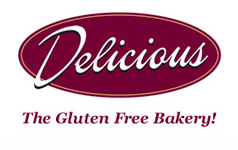 However, it must be said there is a reason that Delicious Gluten Free Bakery is called Delicious. I've been a fan of their cakes and goodies since I discovered them. Their cakes never disappoint and I genuinely love to eat their food.